Standing 4 ½ inches tall and sporting an official Black Bear Conservation Stamp T-shirt this bear is sure to be a favorite . 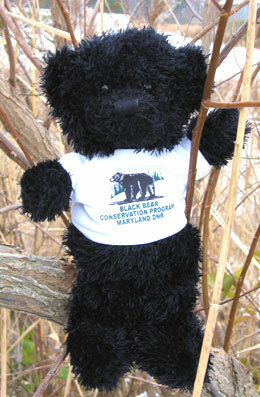 Money from the sale of this bear goes to the Black Bear Compensation Program. Price includes shipping and handling.